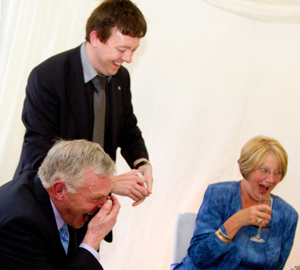 Whether it’s mingling during your drinks reception, performing around the tables or drawing potential clients to your products, corporate magician Brett will transform your event into a magical occasion. Magician - Member of The Magic Circle and Equity. Specialise in children's magic, use of puppets and stories. Traditional magic at its very best. Magic shows for any age, any occasion. Also, entertainment with a difference for groups of adults or children - spooky ghost walks and ghost cruises with magical entertainment. Matt Redmond is the honorary librarian for the International Brotherhood of magicians British ring no 25 and a member of Leamington and Warwick Magic Society, where he is also the librarian. Matt has also performed for royalty at a garden party held by His Royal Highness Prince Charles. I have performed on cruises, for corporate events and for the smallest children's party. 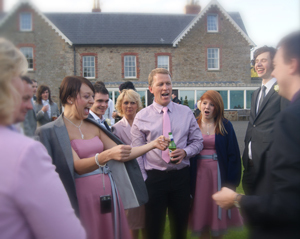 Whatever your event, make it truly magical with Matt Redmond and Magic Moments. Please view Matt's website for more information. Myles Pollock, a member of The Magic Circle, entertains at corporate events, weddings, special parties, marketing and trade shows, team-building, and in casino evenings. In fact there isn't a function that he hasn't performed at. Myles is also a member of equity and the Midlands representative for The Magic Circle. For more information please visit Myle's website.